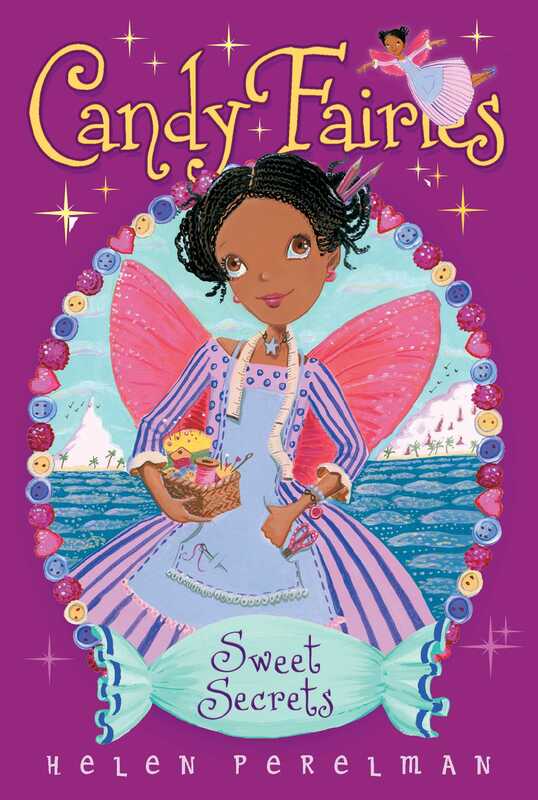 Berry the Fruit Fairy is excited to enter a fashion contest, but when she overhears a secret, it may not be fair game in this Candy Fairies adventure. It’s a Candy Fairies Fashion Show! Top fashion designer Olivia Crème de la Crème is having a dress design contest and Berry the Fruit Fairy is one of the fairies chosen to make a delectably adorable new creation! When Berry overhears the secret plans for the designs, she thinks she’s got this contest won. But wait a sweet second—isn’t that cheating? Berry the Fruit Fairy headed to Red Licorice Lake at top speed. She wasn’t racing to Sun Dip because she was late. Usually she did arrive at the red sugar sand beach at Red Licorice Lake just as the sun was starting to slide behind the Frosted Mountains. Sun Dip was the time that her Candy Fairy friends shared stories and sweets. Her friends knew Berry was always the last to arrive. But today was different. Berry fluttered her wings faster. Today Berry was rushing to get there early because she was about to burst with her good news! There was no one she wanted to share her news with more than her best friends. “Wow! Berry, you are so early!” Raina the Gummy Fairy exclaimed when she saw Berry.